Business description - East India Securities is engaged in the business of Broking (Equity and Equity Derivatives, Currency and Commodity Derivatives). The company is one of the largest Clearing Member for Equity Derivatives in NSE, and Currency Derivatives in NSE/MCX/USE in Eastern India. It also provide services as a Depository Participant (NSDL/CDSL); Distributor (Mutual Funds, Primary Issuer of Equity and Fixed Income Securities); and play an Advisory role in Corporate Financing and Risk Management. The company is a member of the: Capital Market segment of NSE of India since 1995; Equity Derivates segment of NSE since 2000; Currency Derivates segment of NSE since 2008; Capital Market segment of BSE since 2005; Equity Derivatives segment of BSE since 2006. The company also has the membership of NSDL since 1997, and CDSL since 2000. With over 81 active CM Pool Accounts, and over 1097 active corporate clients, it handles over 1,000 instructions per day. It received permanent registration from SEBI as Participant of the NSDL and CDSL depositories in the year 2015. 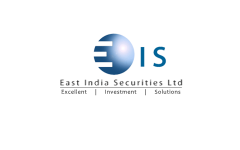 East India Securities IPO allotment status is now available on Cameo Corporate Services' website. Click on this link to get allotment status.